Open call for all makers of CUPS & MUGS! If you are a maker of cups & mugs, please send us a picture of your work. We will gather all suitable designs for our exhibition and sale in December and January. ...don't be shy and let us know. Think of a good price for your work. 20% commission goes to Studio Pansa. 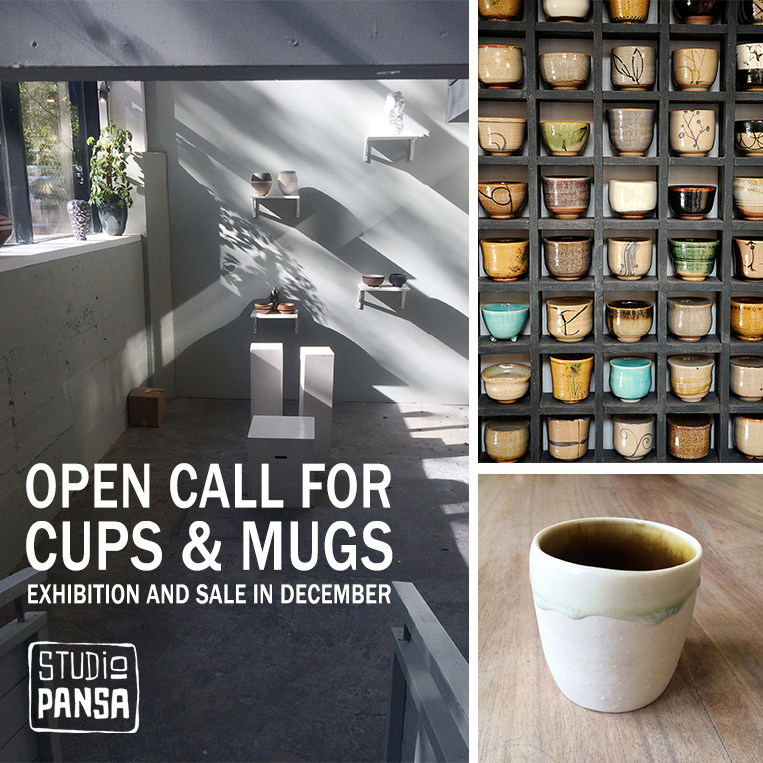 We will turn Studio Pansa’s gallery space into a sale of cups, mugs and other goods from the 1st of December. Come and visit Studio Pansa for your perfect Christmas gifts! Join us on the 5th of October to welcome Joris Link! He will be exhibiting his work in Studio PANSA's gallery space until the 25th of November. Joris Link (1979) received his education at the Academy for art and design, ’s-Hertogenbosch in the Netherlands. He has been exhibiting his work since 2001 in the Netherlands and abroad. 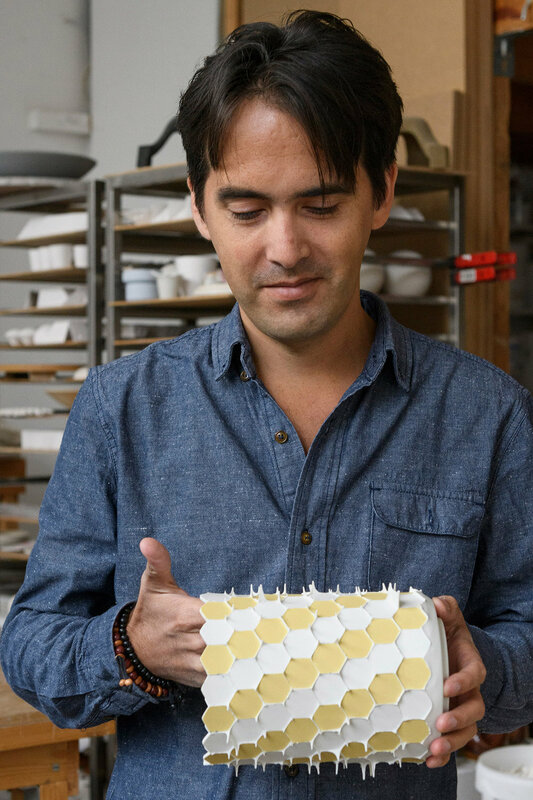 The ceramic sculptures of Joris Link are about shapes, structures and contrasts. Often using repetition, constructed of serial produced elements which, depending on the space, are combined in different ways to become bigger sculptures. The sculptures are often monumental but can also be small objects. They tickle the imagination and form a relationship with its surroundings. The sculptures in itself usually do not give away its size. They can easily be very small or huge. Inspiration comes from mathematical forms, molecules but also landscapes and nature. Characteristic of Joris Link his work is his own idiom of form and use of colours displaying beautiful craftsmanship.